Join The Cyclone, and become part of a community of supporters investing in the conservation of the ocean’s manta rays, their relatives, and their habitats. JOIN US BEHIND THE SCENES. By joining The Cyclone, you’ll gain a front-row seat to our global conservation efforts. We want to introduce you to our manta family, and show you the research we’re doing and why we’re doing it. We will share with you our discoveries and successes as they happen, as well as the challenges we face along the way. To do this, we’ve created an exclusive area of our website available only to Cyclone members - where you’ll gain access to videos, stories, and regular updates from the field. 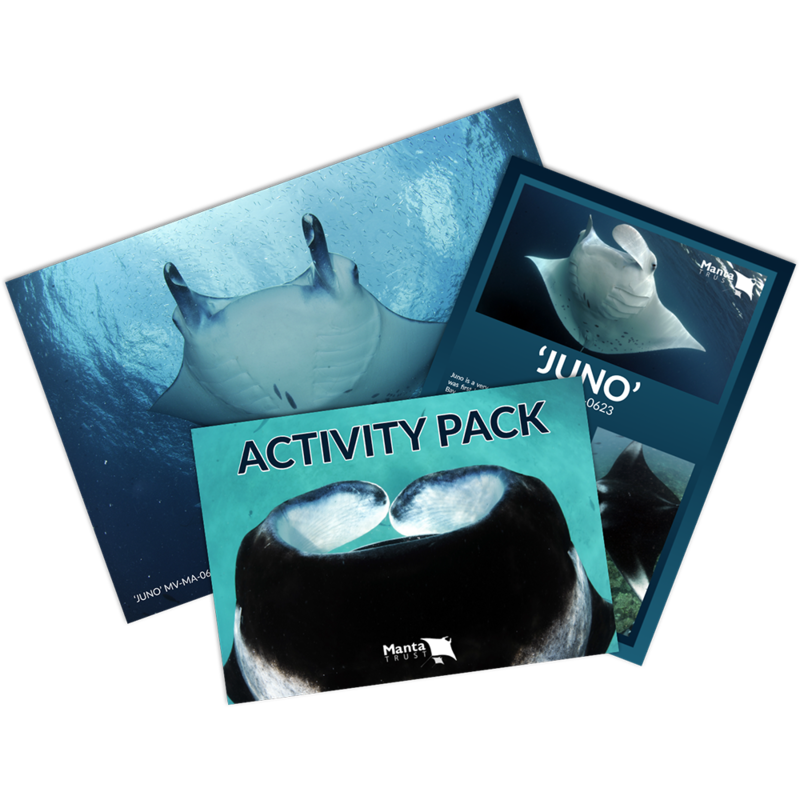 New members that set-up an annual recurring donation, or a monthly donation of £20+, will be able to adopt a manta from the Maldives - receiving a Digital Adoption Pack for free (priced at £20)! 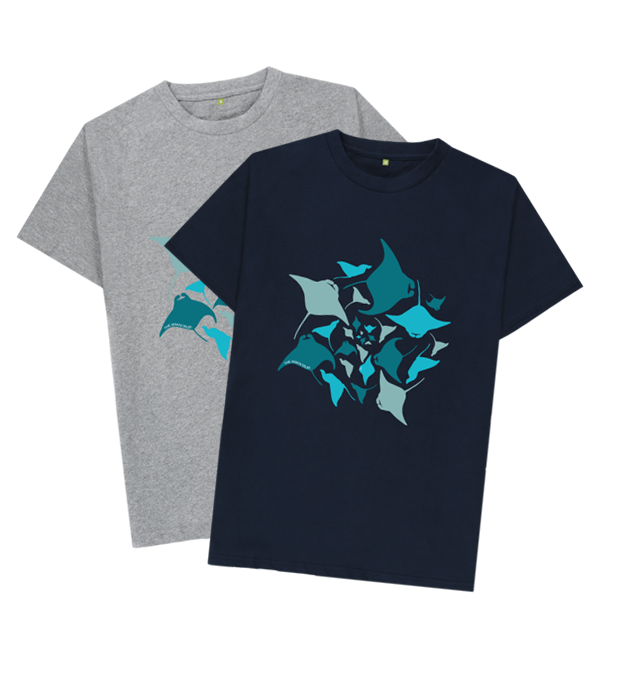 All Cyclone members gain access to a member’s only Manta Trust clothing store where they can purchase our Cyclone collection at a discounted price! Around the world, mantas are under threat. Targeted and bycatch fishing are depleting populations, unsustainable tourism can disturb and change natural behaviour, and climate change threatens the health and productivity of the habitats they rely on. In recent years, we’ve made some significant steps forward to better conserve these animals, but there is still a lot of work to be done. THE MANTA TRUST WAS FOUNDED TO TURN THE TIDE FOR THESE ENIGMATIC ANIMALS. Through research, education, and collaboration, we co-ordinate global efforts to conserve mantas, their relatives and their habitats. We’re a charity made up of people dotted around the world, with different backgrounds and diverse skills, but all united by the same goal. We have to step-up our efforts to have the impact mantas need - and we can’t do it without your help! Who are the Manta Trust? The Cyclone is a community of passionate people from around the world, taking action to conserve mantas. Members donate whatever they can each month - united by the same desire to create a lasting future for these animals, and the oceans they call home. As a member, get ready to be a part of our conservation journey. Through exclusive videos, interviews, stories, and discussions, we want to take you behind the scenes to see the work that we do - knowing that your recurring donation is what’s making it all possible.